First time I see a play school which have international standard and highscope curriculum. Thanks Shreya ma'am for your individual attention. Best service and best staff. I am Shreya Shrivastav. 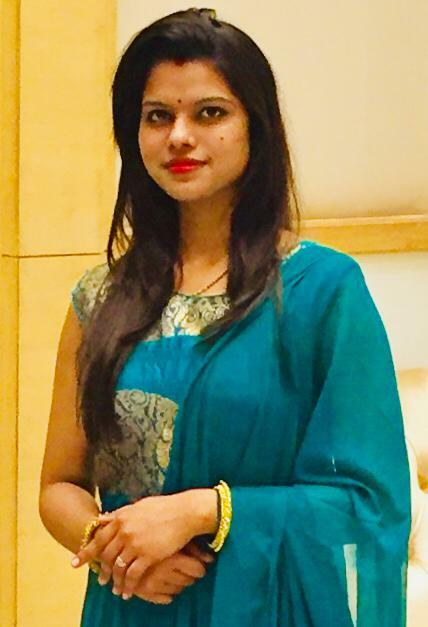 I have completed my engineering in electronics and communication from Gujarat Technical University(GTU) and having 4+ years of experience in manufacturing and corporate industry which includes various companies. I quit my job to extend my work in education field so partner with FOOTPRINTS. I believe that children are the real facilitators of their education and our endeavour is to provide the most conducive learning environment that facilitates happiness, development and holistic growth for every Child. My husband Dr. Ritesh Srivastava who is working with US health care has constantly been my pillar of strength and my sister-in-law (Vartika Srivastava) who is more likely my elder sister and my mentor as well. She is already running a pre school successfully for past 7 years, has been my inspiration. I firmly consider mentioned quote: " you don't have to see the whole staircase. Just take the first step" - Martin luther king. Jr.